FIFA and Sony Music Entertainment made the announcement on 28 Mar 2014. The official anthem of the 2014 FIFA World Cup in Brazil, which is entitled "Dar um Jeito (We Will Find A Way)", will be performed at the tournament's closing ceremony in Rio de Janeiro. 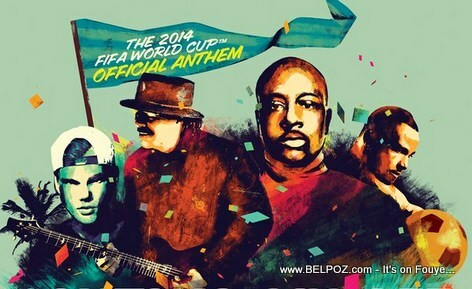 Recall... Wyclef Jean and Shakira performed at the closing ceremony of the 2006 FIFA World Cup in Berlin, Germany.